'Twas the night before Christmas, but in a little yellow house in Florida. the children were not nestled all snug in their beds. Instead, they were wide awake and heading toward the front door. Justin and Jenny Brown were disobedient, disrespectful, and unkind. Still, Santa never failed to deliver Christmas presents, no matter how badly they behaved. Tonight the siblings will open their front door to discover that Santa is not the only visitor dispatched from the North Pole on Christmas Eve. There is an unexpected guest waiting for them on their doorstep. 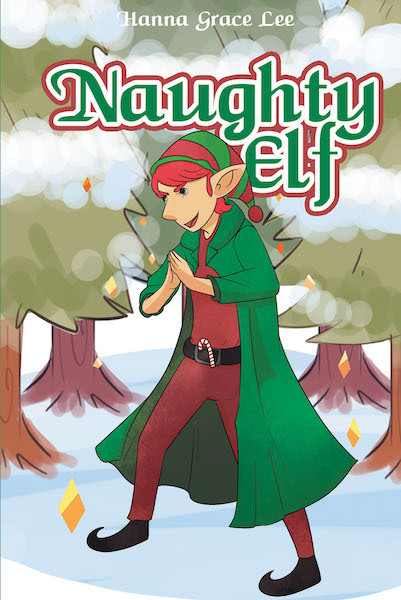 Justin and Jenny will learn life-changing lessons from this irritating little man and gain an understanding of why the spirit of Christmas is as important as the day itself. John 1:4-5 In him was life, and that life was the light of men. The light shines in the darkness, but the darkness has not understood it.